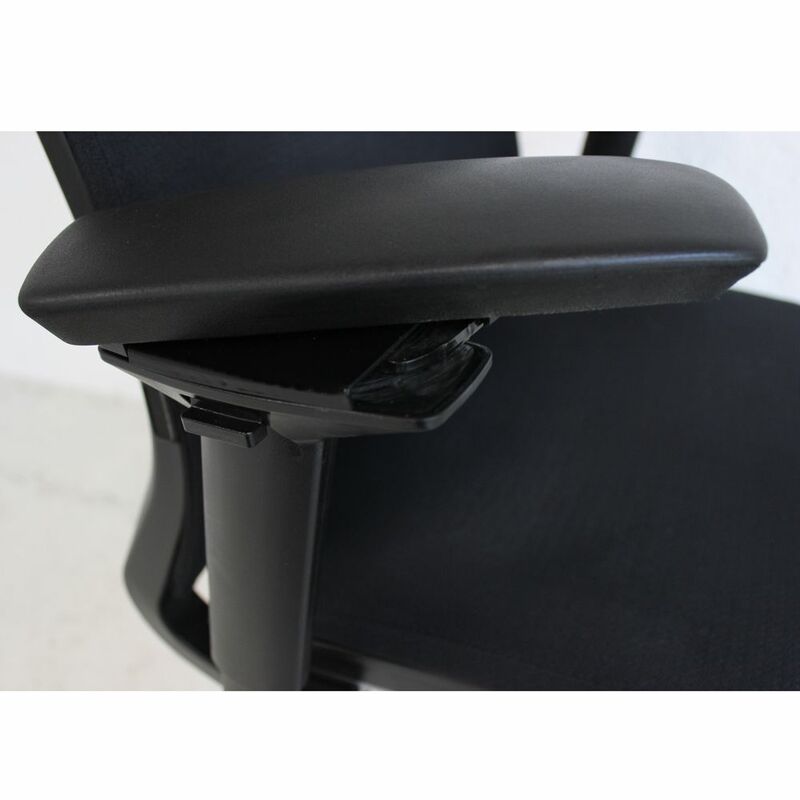 A wire constructed back creates an automatic lumber support and is one of the purest forms of chair ergonomics. Coupled with an adjustable lumber creates a chair that suits most users and provides suitable support. 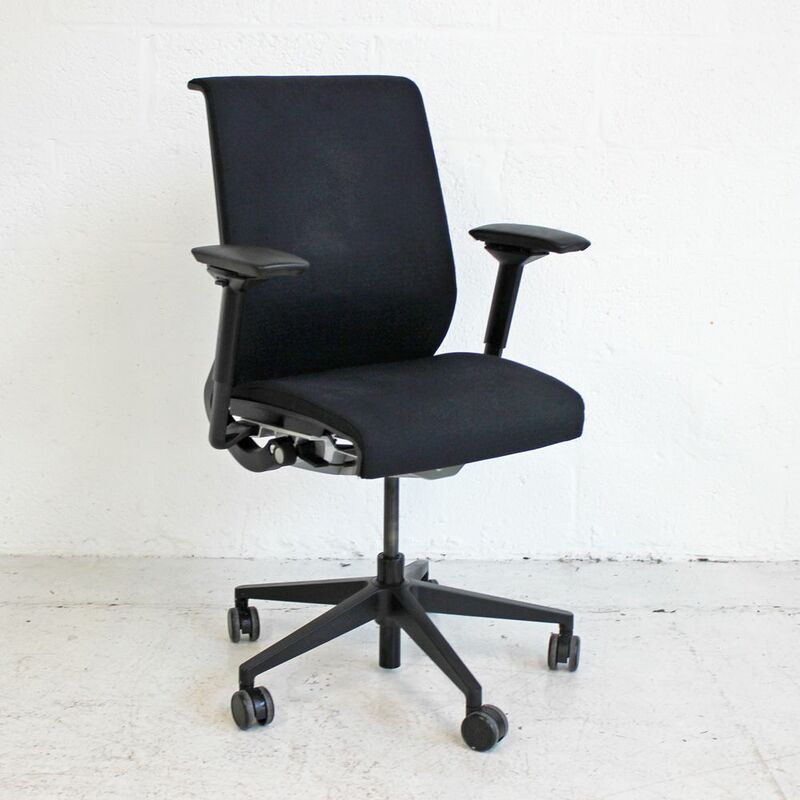 An upholstered back adds to the comfort and is finished in a neutral black hard wearing fabric. 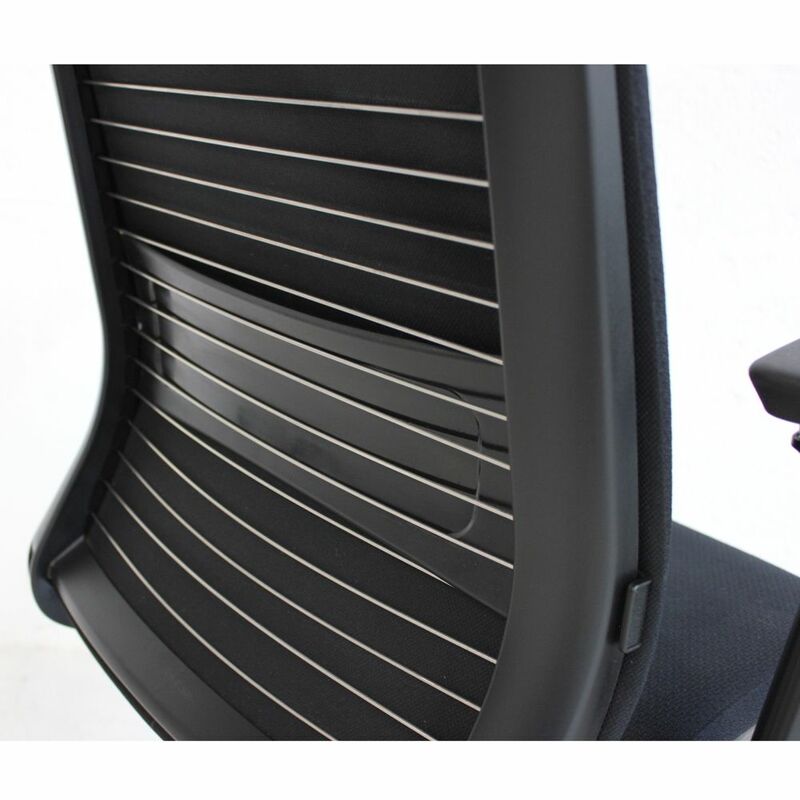 Along with this the Steelcase Think chair also features an automatic adjustable back tilt, height adjustment, seat slide adjustment, height adjustable arms, 3D adjustable arms (width adjustment). 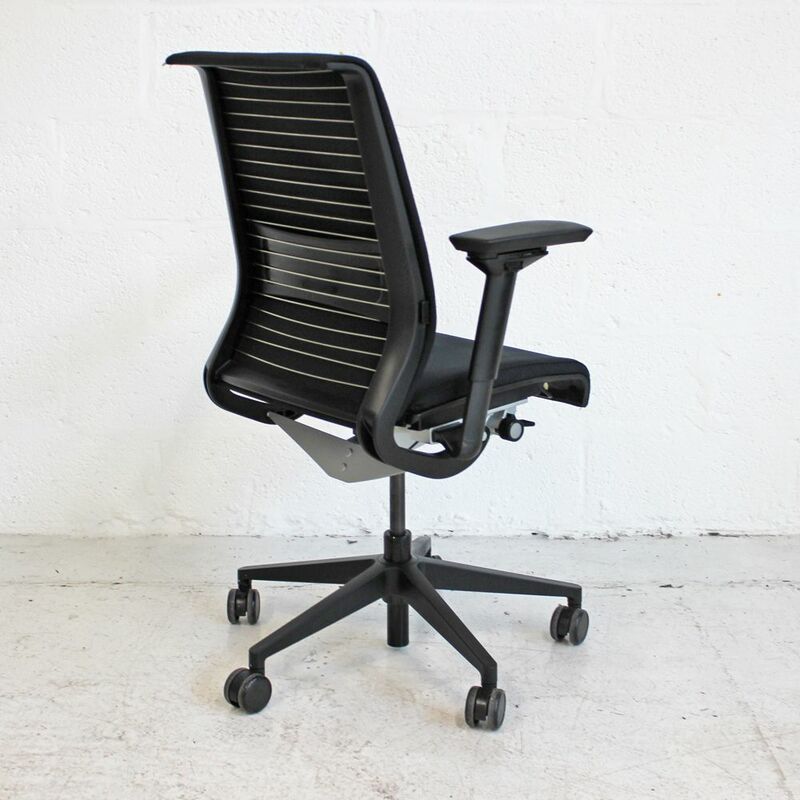 If you're looking for quality used operator chairs like this black computer chair then Barkham Office Furniture is the place to visit. 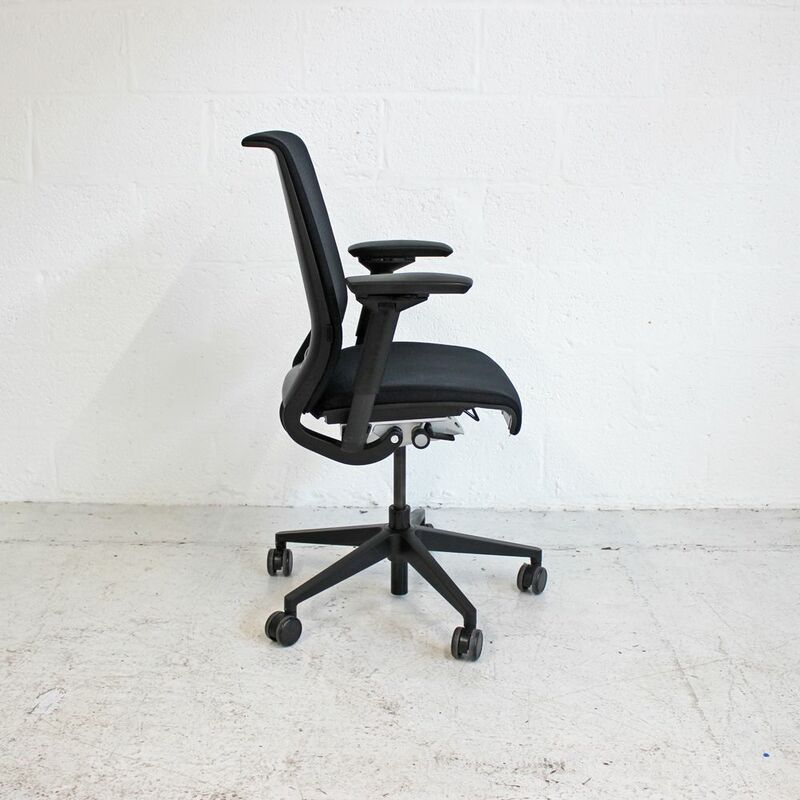 For more information on the black task chair please don't hesitate to get in touch.